Happy New Year 2019 - Illustration store PicsForDesign.com. PSP tubes, PSD illustrations, Vector illustrations. 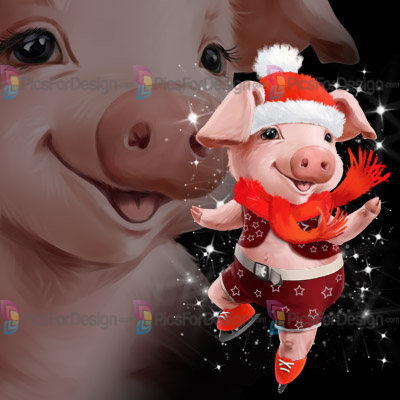 Piggie can be a girl or a boy - the girl comes with longer eyelashes on separate background, and skirts, while the boy has shorts. Ice skates can be taken off or put on.